XVI is a practical and user-friendly Octave pedal. With independent Octave-up and Octave-down adjusting knobs, so you can adjust as you like. An overdrive pedal delivers the nuances of music greatly. With a wide range of High-Gain, the tonal possibilities range from a clean boost to distortion by adjusting the GAIN knob. Besides, both Low Gain and High Gain are delivered vividly. A pedal features LOOPER cycle recording mode, independent drum machine mode, and LOOPER +drum mode. The LOOPER mode has auto-align function and Count-In function, 40 minutes cycle recording time, overdub unlimitedly. Specially designed for heavy metal, it’s characterized by High Gain. With a BIAS knob, you can switch easily between American Distortion and British Distortion. A low Gain overdrive pedal, the unique VOICE knob controls different genres of EQ frequency bands, its smooth overdrive sound is reminiscent of the classic Dumble amp. It delivers strong compression overdrive tone, also with great Gain, you can adjust the compression by the COMP toggle switch. Compared with TAUREN/TAICHI, ZIP AMP is kind of a passionate rocker. 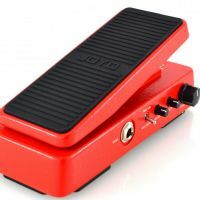 The Joyo Classic Wah is a 2-in-1 Wah AND Volume pedal. Easy to use simply press the toe side down to click-activate to get crybaby-esque tones. 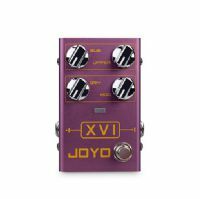 The Joyo Multimode Wah is a 2-in-1 Wah AND Volume pedal. 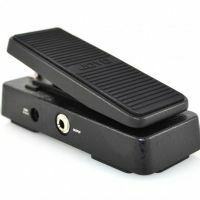 Easy to use simply press the toe side down to click-activate to get crybaby-esque tones. The JOYO ZGP-W is a compact power converter, specially designed as a power supply for effects pedals. 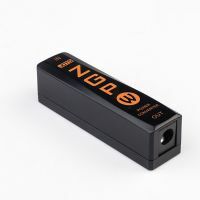 It can change your cell phone charger or power bank into an effects pedal’s power supply instantly.